IVAR BJORNSON [ENSLAVED]/ EINAR SELVIK [WARDRUNA] - HUGSJA COLLECTOR’S EDIT. (DIGI) | Online Shop | Wizard LTD. Album: "HUGSJA COLLECTOR’S EDIT. 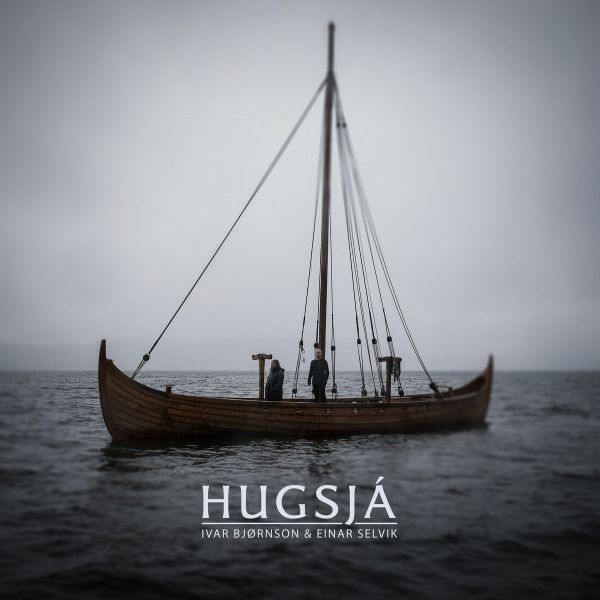 (DIGI)"
After the success of their previous collaboration "Skuggsjá"; Ivar Bjørnson (Enslaved) and Einar Selvik (Wardruna) are now following up with an imposing new piece entitled "Hugsjá". The word ‘Hugsjá’ means to see with, or within, the mind, and it reflects the idea that one’s mind has the potential to see further than the eyes can reach. By weaving together indigenous and contemporary thoughts, sounds and instruments, they are inviting you on a vivid journey, exploring the distant history and traditions along coastal Norway. The album is set for release through Norwegian label By Norse Music on April 20th 2018. Hugsjá was first commissioned by, and performed at, Bergen International Festival in 2017, as part a series of concerts named Nordvegen (“the northern road”); inspired by local history and traditions in each of the places visited. The Nordvegen concerts created an acoustic and intimate basis for the grandiose commissioned work, “Hugsjá”. The piece received its world premiere in Bergen’s premiere concert hall Grieghallen, and ultimately the material was recorded and became this full-length album. Roadburn 2018 will be both the release party and international live debut of “Hugsjá”, the album.